The Filipino youth, ages 15 to 30, comprise more than 40% of the country’s population. Being the country’s future leaders and parents, the youth sector is a viable and dynamic target population for a health advocacy on the prevention of birth defects and preterm births. In 2009, Volunteer Youth Leaders for Health – Philippines (VYLH-Philippines) was formally organized through the collaborative effort of the Institute of Human Genetics of the National Institutes of Health-University of the Philippines Manila, the Department of Health (Republic of the Philippines) and The UPLB Genetics Society, a student organization of the University of the Philippines Los Baños. VYLH-Philippines is a network of pro-active, service oriented, empowering, and visionary leaders equipped with knowledge and skills in mobilizing the youth towards a healthy Philippines. 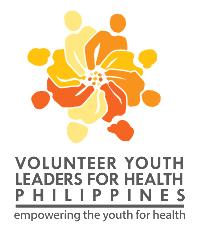 VYLH-Philippines is a network of pro-active, service-oriented, empowering and visionary leaders equipped with knowledge and skills in mobilizing the youth for health. It is composed of youth leaders from different community- and university-based youth organizations throughout the Philippines. The formation of VYLH-Philippines is part of an international effort to establish the March of Dimes – Global Network for Maternal and Infant Health (MOD-GNMIH) participated by youth counterparts in China and Lebanon linked by the common interest of volunteerism and public service to improve birth outcomes worldwide through advocacy. The network was organized with the aim of creating a network of youth leaders who will champion in increasing public awareness on existing health programs, and on the significance of a healthy lifestyle at an early age. Currently, the network is in the forefront of the campaign directed to increase the public’s awareness on the significance of folic acid supplementation in the prevention of birth defects, and on the importance of newborn screening in saving babies from death and mental retardation. The network also advocates for the passage of the Rare Disease Act, an act addressing the needs of patients with rare and orphan disorders. Since 2009, VYLH-Philippines has been organizing health promotion and advocacy activities such as community and school lectures, mothers’ classes in hospitals and health centers, symposia, and exhibits. The network also continuously engages in developing print and accessible online resource materials; designing communication tools and strategies; and establishing partnerships with local agencies and professional organizations. The network has also integrated in its calendar of activities some national and international observances related to the advocacy. At present, the network’s volunteer force is a diverse mixture of youth leaders coming from different interests and professions. VYLH-Philippines has also conducted local, provincial, regional, and island-wide youth camps in order to sustain the membership of the network, and engage youth leaders coming from unrepresented areas of the network’s volunteer pool. A national leadership congress of volunteers is also regularly held in order to strengthen the network, recommission volunteers, provide updates about program developments and future plans, as well as discuss relevant and timely health issues. At present, the network’s volunteer force is a diverse mixture of youth leaders coming from different interests and professions. In the span of four years, VYLH-Philippines has trained more than 300 volunteer youth leaders coming from more than 200 youth organizations nationwide and has conducted year-round advocacy projects, three national volunteer congresses, three island-wide youth camps, and one national camp. Recently, VYLH-Philippines was invited as the sole Filipino Youth Organization to participate in the 6th International Conference on Birth Defects and Disabilities in the Developing World. The network’s programs were also recognized by the Voice of the Youth Network-Philippines as one of the Outstanding Health Awareness Project of 2013. Taking value to the importance of the youth in nation building, VYLH-Philippines had, and will continue to mold, equip, and engage Filipino youth leaders in the hope of promoting a healthier nation. The seeds (innermost portion) represent the role of the youth in health advocacy and promotion, and the significance of empowering the youth towards a healthy nation. The act of holding each other signifies the collective and continuous effort of the network and its partners towards achieving the goals and objectives of the network. The bodies radiating from the center shows that the organization is rooted to its role to society and its principles. The four colors namely yellow, orange, yellow orange, and red orange represent the four principles embodying VYLH-Philippines namely leadership, commitment, advocacy and volunteerism. The choice of the said colors signify the burning spirit of volunteerism and the radiating energy of the youth. The VYLH-Philippines emblem was designed by Mr. Zando Escultura.